I had an entirely disheartening time of it over the last few days. I have felt ill nearly all the time -- not sick enough to need medical assistance, but enough to make me feel miserable almost all the time. Without some handy painkiller drugs, I would be almost completely nonfunctional. Fortunate for me that tylenol serves well enough. The driving license folks for the State of Utah officially -- and officiously -- added to my personal misery. They required me to take yet another driving test -- which I passed, quite easily, at least in my opinion. Problem was, the examiner lady had apparently determined before she even saw my face that she was going to flunk me. So she falsified her test results, then reported to her boss that I drove in some vaguely unsafe manner. All that really happened was that she was in a really sour mood, because of missing her breakfast, or PMS, or some unknown combination of personal problems that had nothing to do with me. Anyway, for some undetermined reason, she decided that I was worthy of her unfavorable judgement. I got the brunt of her wholly unjustified displeasure, with the result being that she and her superior very generously agreed to compromise and issue me a restricted license. At least, they acted like it was a magnanimous gesture. The amusing thing about the whole episode was that they were both so ignorant about a place they both live, they acted like it was a generous concession to restrict me from driving on any road with a speed limit of over fifty miles per hour. I protested that I would basically be in violation if I travelled anywhere beyond my own driveway, since the neighborhood is rural, and the only access to the rest of the world is to travel along US Highway 89. It was ludicrous, to have such ignorant self-righteous folks presuming to lecture me about "public safety". I wondered if they had ever been outside of Ephraim -- a one-horse town, with a fairly skewed perspective on the realities of the world. Responding to my arguing, they decided to change the restriction to only driving within fifteen miles of my home, supposedly somehow serving the interest of "public safety". I told them that was just as ridiculous, but they both insisted, I must be restricted somehow. I finally said go ahead and issue whatever license restrictions made them feel like they were doing something meaningful, but had every intention to ignore it at my good pleasure, relying on the same measure of judgement that has served me and "public safety" for many decades and more than a million miles of safe driving experience. The supervisor said I needed a doctor's order to get the restriction removed, but I scoffed at that, and responded that my doctor will likely do whatever I ask him, within limits of reason, and unlike those I was arguing with. Ironically, he acted like the assertion set him back, as though I could never hope to have just as much good-ol'boy influence as needed to easily circumvent their misguided intentions. At least a doctor can make a reasonable objective evaluation of reaction speed capacity, with some hope for clinical accuracy and reasonable judgement. The woman who flunked me made some comments about my supposedly diminished capacity to react, but she did nothing to test such qualities in any objective manner, and was not even remotely qualified to make such a judgement. If they would restrict their own actions to jobs they are qualified for, it would be appropriate. Medical standards are needed for regulation of driving licensing, but cannot be properly imposed by employees of the driving license division, and certainly not by a grumpy woman with no background in the metrics required to make objective evaluation of a medical condition. The whole episode was a laughable demonstration of typical public employees wagging the dog, too overly impressed with their own self-importance to listen to reason from any mere person. Their stated job is guarding "public safety" which they fulfil by imposing meaningless restrictions with absolutely no objective basis, meanwhile doing virtually nothing that serves the public interest whatsoever. I hold the suspicion that the backslapping good ol' boys, any of their personal friends, get a wink and a pass, even if they show up so drunk they can barely stand. Any teenage driver giving the same test performance would have been passed without remark. Even the old man who could barely stand was tested before I was, and apparently was passed without comment. Anyway, the issue that offended me was that the woman who supposedly evaluated my driving skills. I suppose she entered false test results in the record. That a person in public trust is able to so falsify government records because of her having a personal bad-hair day is an affront to me. That she did so with overinflated egotistical feelings about her own self-righteousness I have little doubt. She made some interesting remarks to me about her lengthy standing in the driving license division, as if she could impress me with such credentials. I think she needs remove herself from any such position of responsibility in the future. She apparently cannot handle such routine duties without being unduly influenced by totally unrelated subjective factors. Nevertheless, I feel certain that I will continue to encounter such ridiculous problems, probably a return match with this same cadre of public employees. I have had similar experiences with driving license division encounters, sufficient to remove all confidence in their competence, or any expectation that public employees might feel some personal obligation to perform their jobs in a professional manner. On the occasion of renewing my driving license some years ago, I filled out the request form properly, but the incompetent person who transcribed the record misspelled my last name. I did not notice this until some time later, then reported it to one of the clerks at the drivers license bureau. His reaction was that I had obviously misspelled my own last name, and that they could reissue the corrected license, but I would have to pay the fee for license renewal. Well, to make a long story short, it turns out that a facsimile copy of the application was saved on file. On cursory examination, it was obvious that my form was clearly printed, correctly spelled, and that someone who was inept or careless had transcribed it improperly. The fault was theirs, but I got no offer of apology from the drivers license clerk for their mistake, or for the blustery bullying demeanor with which he originally accused me of making the mistake, and misspelling my own name. Not even any sign of being embarrassment about such obviously incompetent and unprofessional conduct. He probably was too full of his own self to recognize such a sloppy job. I suppose such mistakes are routine, for these guys. They are apparently accountable to no one. In addition to the latest driving license fiasco, I was recently denied a bank loan for a new car by someone who read on my credit report that I owed child support. Never mind that the record showed a judgement against someone from the court in Weber County, in 2003, neither of which were appropriate to my circumstances. It was easy to see that the information was completely wrong. The woman who processed my loan application apparently prefered to believe the erroneous credit report, over my assurance that I owed nothing. 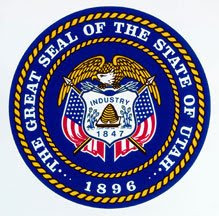 She insisted that I must obtain a note from the Utah Office of Recovery Services, exonerating my deadbeat reputation before they would release the funds. I told her the judgement was not mine, but my protests fell on deaf ears. She would not accept my word. 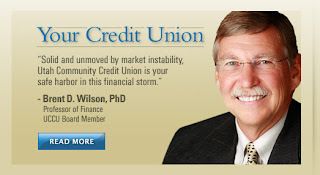 I started doing business with the credit union more than thirty years ago. Probably before that particular woman who rejected my loan application was out of diapers. She had no way of knowing that nothing could offend me in a worse way than to raise the child support issue to cast a shadow of doubt on my personal integrity. I wrote a derogatory note to the credit union to that effect, and will take my business elsewhere in the future. If you travel anywhere around Utah Valley, you will see the smiling faces shining down from this credit union's advertisments. They have grown at the same frantic pace as everything else in the locale. Apparently they have also grown out of affording to trust their customers. I suppose honesty is a lost virtue in the world of financial affairs. In any case, it seems sadly absent in these circustances. I am sure that the credit union now has such a customer base that they needn't concern themselves about losing me as a customer. But I have done all kinds of business with them in the past, many transactions passing simply with my word of honor and promise to pay my debts. Passing sad, that we can do business on such a basis no longer. One more loss of faith in my reliance on good character. It apparently doesn't count for much, in today's world, if it ever did. In addition to overcoming my own disability, I also face such challenges every day. Betrayed by my own body, I also stand falsely accused of being suspect in my observance of moral obligation, not taken at my honest word, and no longer competent to drive my own automobile -- so judged by people that are so apparently sadly lacking in moral integrity themselves. Yikes, Jim! Just a suggestion, but you might want to remove the lady's name and your suggestions for what she ought to do with herself. It's overkill and could come back to bite you. "His reaction was that I had obviously misspelled my own last name, and that they could reissue the corrected license, but I would have to pay the fee for license renewal." Something like this happened to me with one of the highly-trained and experienced doctors at University Hospital. The guy had a file in hand--the wrong file--and kept calling me "Karen." I said, "I think you have the wrong file. I'm not Karen." He paused, glanced at the file, and then said, "Are you SURE?" Well gee, I'll drive home and check my birth certificate and get back to ya. I have every expectation that you'll get the restrictions lifted from your driver's license. Unfortunately, like everything else right now, you're going to have to work at it. That's how it is when you're in this spot. Our ordeal of getting Social Security for our completely and permanently disabled daughter was an exercise in jumping through hoops while juggling elephants. It was exhausting, and they make mistakes all the time in calculating her payments, mistakes we're too hassled to take the time to correct. Here we are, every day an incredibly precarious balancing act, and folks unthinkingly heaping more weight on. Still, matters could be worse, and we're grateful for the checks she gets. Keeping her in diapers is expensive and we use expensive ingredients in the food we mix for her, and the checks cover that, thank goodness. Of course, you are right, thank you for the good advice. I should not give these people enough power to upset me -- then I am reduced to playing by the same inconsistent and unethical rules that they fabricate for themselves. It is easy enough to send this case to the doctor -- I am pretty sure he will do whatever I ask, and the driving license people have no authority to argue with a medical expert. But it irritates me, being forced to deal with people that are so sanctimonious. I admit my own limitations. They treated me like there was something suspect in my own cognitive functions, when they have no standing to make such a judgement. I add one more comment about the driving license folks. I have the impression that they take personal pride in antagonizing people. Part of their authority seems to derive from the bullying approach that seems so common to people in this line of "pubic service". Perhaps the blustering is an attempt to compensate for their own fear and inadequacy. Or perhaps it is just a common reaction to dealing with a resentful public. In any case, the chip-on-the-shoulder is unjustifiable and unprofessional. People who want to adopt such an antagonistic posture should find a different job. "They treated me like there was something suspect in my own cognitive functions, when they have no standing to make such a judgement." I relate. I have been treated as if there was something wrong with my cognitive functions because I have a splash of extra color on one side of my face. It's nothing more than an aspect of my appearance, yet it throws people off. And sorry, but I'm not going to get rid of it just because it throws people off. I try not to take bad behavior personally. That helps me to keep my head clear enough to do whatever it is I'm trying to do without the added anxiety of trying to change people's attitudes. Also, having been through some completely disorienting years where I thought my world had come to a screeching end, I tend to wonder what might be going on in people's lives that causes them to waver or fall back on irrationality or unwarrented aggressive behavior. Like you do here: "Perhaps the blustering is an attempt to compensate for their own fear and inadequacy. Or perhaps it is just a common reaction to dealing with a resentful public." Then, after I've not taken their bad behavior personally and given them a charitable benefit of the doubt, I go ahead and do what I was going to do and forget the business, except for what I learn from it. Sometimes, not taking other people's bad behavior personally helps them. Sometimes it even helps you, because they relax and become real for a little bit and look across at you and learn something. Sometimes you have to draw your sword and stand your ground. I guess the wisdom comes in being able to tell which moment is which, a wisdom I don't always have myself, because either I take something personally when I shouldn't or I suffer a critical charity fail for one reason or another. But I'm interested in continuing to figure it out. Let us know what happens. Oh, and maybe you can edit the first part of my first comment so as to erase all signs of ... well, you know. FYI, the weed supervisor sprayed the knapweed today. Guess we'll see what happens in the spring. Thanks again for your very helpful advice on that matter.